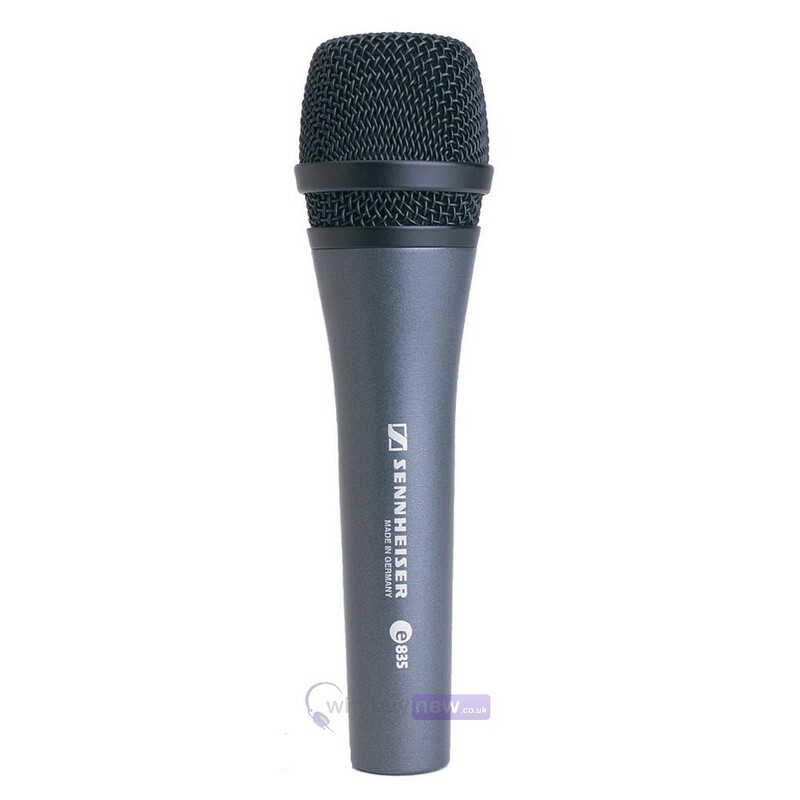 Sennheiser E835 combines the build quality and vocal reproduction qualities that you would expect from a high-end microphone but is presented at a price that will be affordable to performers of all levels. 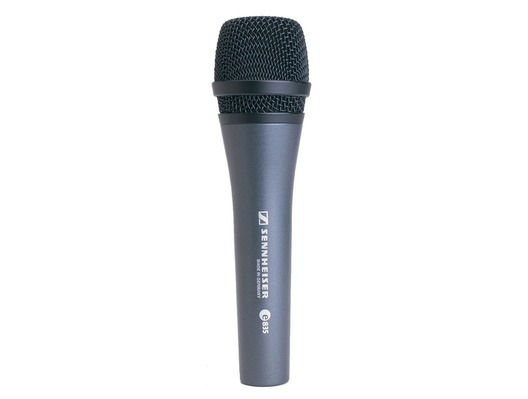 E835 from Sennheiser is a dynamic microphone which is perfect for mobile DJs, vocalists, MCs and other live performers. The body of the microphone is an ergonomic, all-metal construction which instantly makes the E835 feel like a quality product (and this is before you've even powered up your PA system). No muffled, mids-centric sound but tight low mids and present treble. No problem with feedback, spill or handling noise; instead, maximum flexibility for the voice: the e 835 is a solid choice for performers. Moderation and singing remain crystal clear and natural, even at varying distances from the capsule. Its extremely rugged construction and uncomplicated handling make the e 835 the first choice for rehearsal rooms, home recording or the stage. It has also become a top seller in its class everywhere that speech intelligibility is critical: lectures, presentations or conferences in auditoriums large and small alike.